This is a workshop for fearless women who are ready to break the routines that no longer serve them, to do something new and fresh. This month’s New Moon in Aries is a Total Solar Eclipse that urges us that the time for dreaming is over, and the time for action has arrived. Act on your inner impulses by abandoning fear and self-doubt, and instead adopt the courage, strength and faith to achieve your wildest dreams. 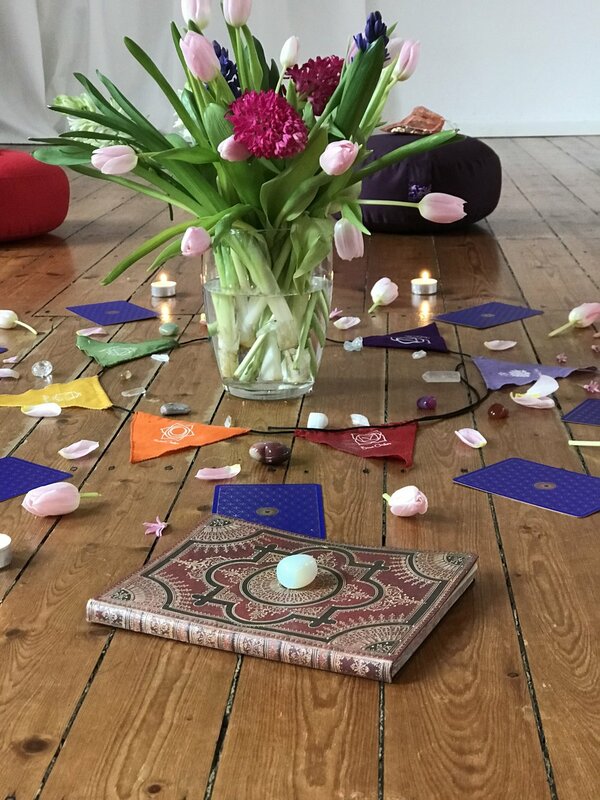 This workshop is led by International Yoga Teacher & Reiki Master Maddie Lynch (The Vegan Yogi Traveller) and Writer and Reiki Practitioner, Tanya Master. Maddie has been travelling the world teaching yoga (India, Australia, the UK, Greece & Germany), and is now living in Hamburg (teaching yoga and workshops at a variety of studios). She has been practicing Reiki since 9 years old and is now a qualified Reiki Master. Tanya is an online marketing manager by day and poet by night. She is a world-child that believes in the power of written and spoken words and the magic of authentic connectivity.